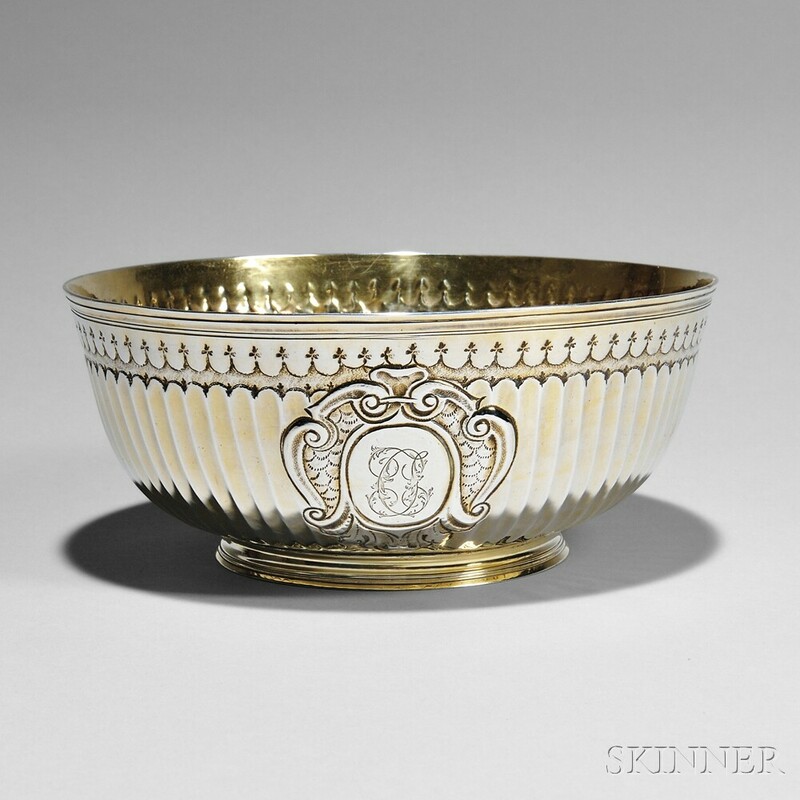 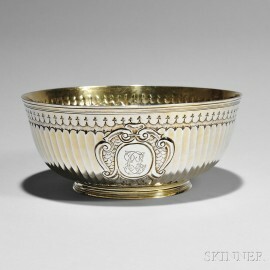 Queen Anne Britannia Standard Silver-gilt Bowl, London, 1709-10, maker's mark "TH," with a fluted body centering a shield-form cartouche with an engraved monogram, dia. 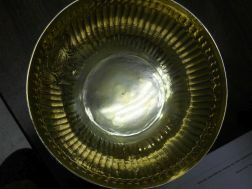 6 3/4 in., approx. 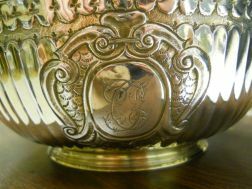 10.3 troy oz. 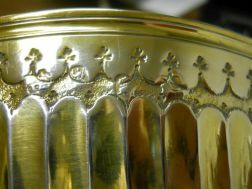 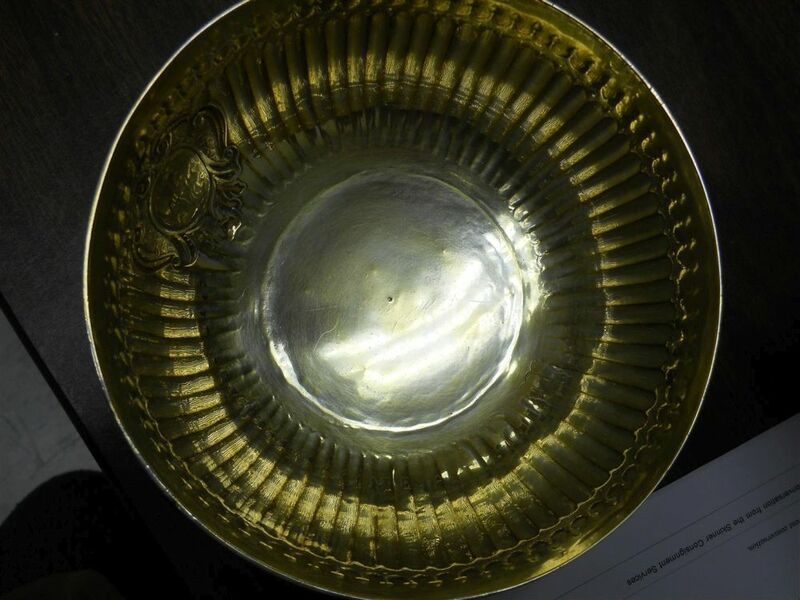 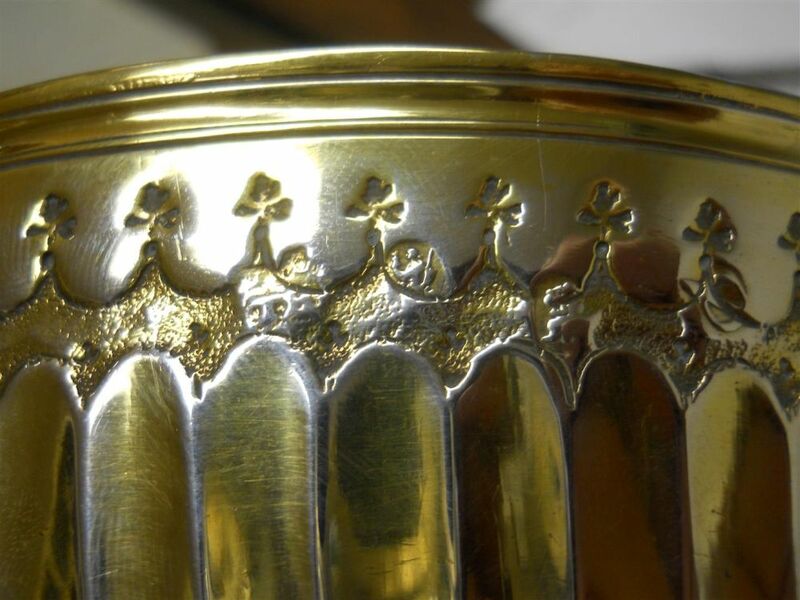 Minor wear to surface throughout including minor abrasions, minor nicks, and rubbed loss to gilding.